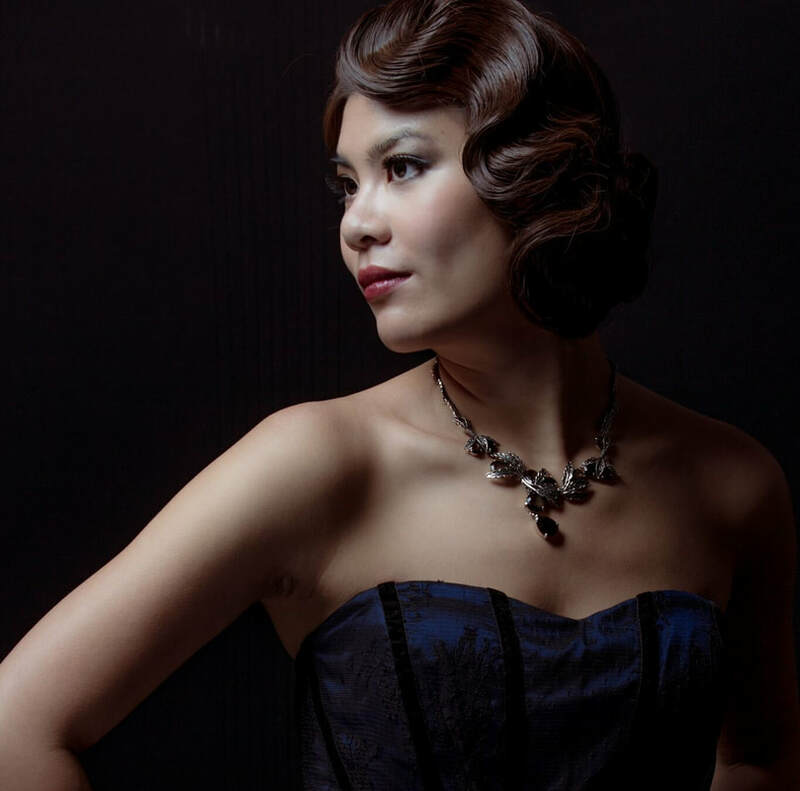 "Mezzo-soprano Carol Lin's versatile singing was breathtaking." As Renée Fleming said, “an impressive and beautiful voice", Carol Lin, the award-winning and leading mezzo-soprano in Hong Kong, brings her rich tone to a wide variety of repertoire. 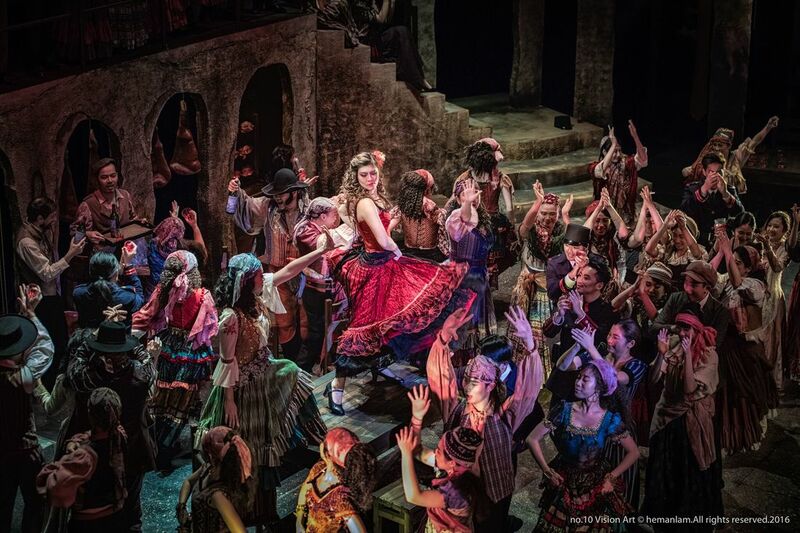 She has already distinguished herself on the operatic and concert stage. In May 2013, she won the regional round of the 32nd International Hans Gabor Belvedere Singing Competition and represented Hong Kong to participate at the final rounds along with the world's top young opera singers from 55 cities in Amsterdam, Netherlands. Earlier of 2013, she won the Third Prize at the "Giovani Musicisti - Città di Treviso" International Music Competition in Treviso, Italy. She is also the winner of both First Prize and Grand Jury Prize at the 2011 Yokohama International Music Competition. In January 2013, Ms. Lin has performed as Santuzza (CAVALLERIA RUSTICANA), a Hong Kong Musica Viva's production, with high claims to her dramatic characterizations in both singing and acting. Ms. Lin made her debut with Hong Kong Musica Viva as Suzuki(MADAMA BUTTERFLY) directed by Hong Kong renowned director Professor Kingman Lo. Continuing her work with Prof. Lo, she was engaged to perform as the title role of CARMEN, Maddalena (RIGOLETTO), Marquise (LA FILLE DU REGIMENT), and Alisa (LUCIA DI LAMMERMOOR). Ms. Lin has also been a regular artist of Opera Hong Kong (OHK) since 2006. She made her OHK debut as the Alto soloist in MOZART'S REQUIEM and Favorite Arias concert under the baton of Hong Kong Sinfonietta music director, Wing-Sie Yip. 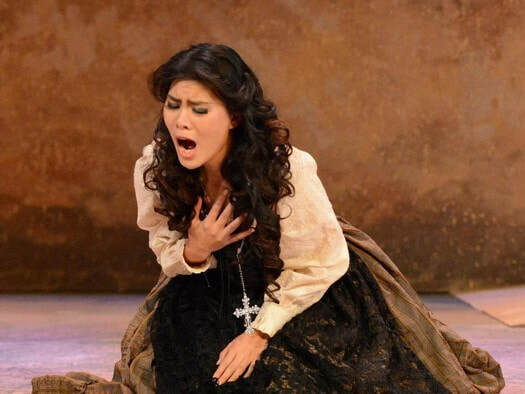 Later on, she performed as Stephano (ROMEO ET JULIETTE) in the Hong Kong premiere as her professional opera debut. Other opera engagements with OHK included Rosina (IL BARBIERE DI SIVIGLIA), Siebel (FAUST), Third Lady (Die Zauberflöte), Flora (LA TRAVIATA), Rosette (MANON), La voix de la mere d’Antonia (LES CONTE D'HOFFMANN), The Page (SALOME). As for highlights of Ms. Lin's international opera debut, In December 2008, Ms. Lin made her American debut as Cherubino (LE NOZZE DI FIGARO) at the Cutler Majestic Theatre of Boston. Ms. Lin also performed as Ding Ling in the Taiwan premiere of HEART OF CORAL In Taipei’s Zhengshan Hall. 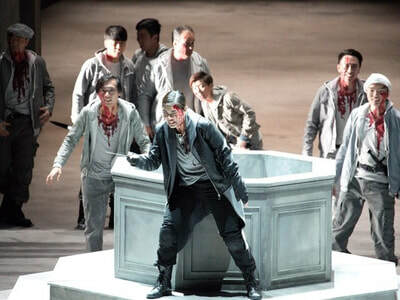 Besides traditional operas, Ms. Lin actively performs in the world premiere of contemporary operas. In March 2015, she performed as the Empress Dowager Cixi and Lo Yifeng in Hong Kong Art Festival chamber opera production “Datong". Her performances were described by fellow critics as “gripping", “terrific" and “breathtaking". She performed as Ume Shōkicho's wife in the world premiere of a new opera Dr. Sun Yat-sen produced by Opera Hong Kong in October 2011. In March 2013 she performed as Ding Ling in another chamber opera production Heart of Coral of Hong Kong Art Festival. 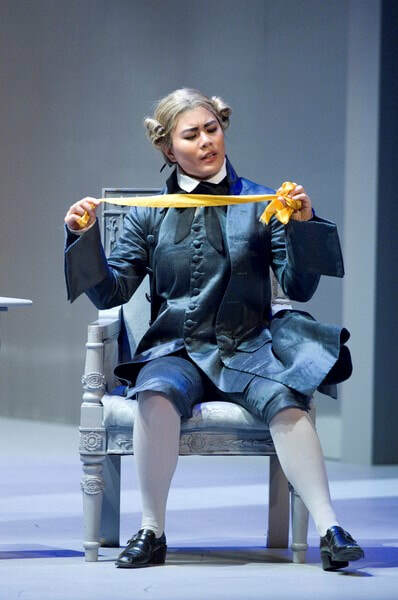 In addition to her performances with Opera Hong Kong and Musica Viva, her extensive list of stage credits include Dorabella (COSI FAN TUTTE), Romeo (I CAPULETI E I MONTECCHI), Octavian (DER ROSENKAVALIER), Charlotte (WERTHER), La Principessa (ADRIANA LECOUVREUR), the title role of SERSE, Athamas (SEMELE), Mercédès (CARMEN), Second Lady (Die Zauberflöte), Isabella (L'ITALIANA IN ALGERI), Dorothée (CENDRILLON), Mrs. Grose (THE TURN OF THE SCREW), Dido (EGISTO), Mastrilla (LA PERICHOLE), Kate Pinkerton (MADAMA BUTTERFLY) and Mrs. Bassett (SUMMER AND SMOKE) . Apart from operas, Ms. Lin has been the featured soloists for many art-song recitals, oratorio concerts and chamber music performances by major organizations from Hong Kong and overseas, such as Boston Philharmonic Orchestra, Aspen Sinfonia, Hong Kong Philharmonic Orchestra, The Philharmonic Orchestra Singapore, Hong Kong Sinfonietta, City Chamber Orchestra of Hong Kong, Radio and Television Hong Kong (RTHK). Her concert repertoire includes VIVALDI'S GLORIA IN D, HANDEL'S MESSIAH, MOZART'S MASS IN C and REQUIEM, VERDI'S MESSA DI REQUIEM, DURUFLE'S REQUIEM, MAHLER'S SYMPHONY NO. 2 and SYMPHONY NO.8. She was invited by Singapore Hallelujah Oratorio Society to sing as the alto soloist in MENDELSSOHN'S ELIJAH at Singapore Esplanade Concert Hall earlier in August 2010. At the same year, she appeared as the mezzo-soprano soloist in the Shanghai World Expo with Opera Hong Kong. 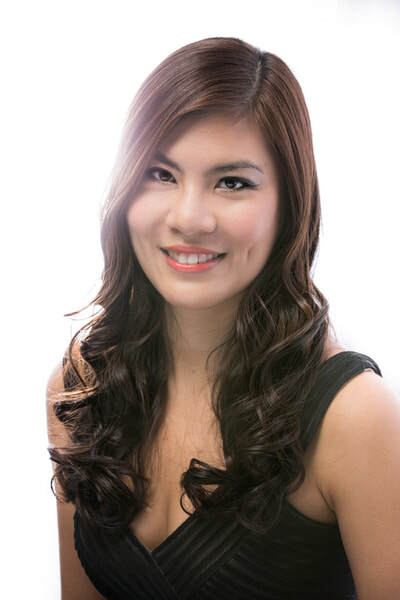 Carol Lin, a native of Hong Kong, earned her Bachelors Degree in Music with Honors, and Diploma in Performing Arts from the Hong Kong Academy for Performing Arts, majoring in Voice and Opera. On 2006, she was awarded the Lady Fung Memorial Music Fellowship of Asian Cultural Council to study in Aspen Music Festival and School. The year after, she received the Yvette & Carl Fung Music Fellowship of Asian Cultural Council and the New England Conservatory Perkins Opera Scholarship to continue her studies under American Mezzo-soprano, Delores Ziegler, at the New England Conservatory of Music in Boston. She had been awarded her Masters Degree in Vocal Performance in May 2009. During her school years, she was chosen to perform in front of the world renowned Soprano Renée Fleming, Soprano Sumi Jo, Soprano Dame Kiri Te Kanawa and Baritone Sir Thomas Allen with high acclaim on her performances. Vocal Recital "A Walk in the Garden"
“Mezzo-soprano Carol Lin’s versatile singing was breathtaking." “… Carol Lin is a solid, conscientious performer that her riffs on the character are possible." “A gripping performance by Carol Lin…"
“Superb singing from Carol Lin… A tour de force."